So I have actually been working on a project this past month. It’s been difficult with all the traveling and wedding plans taking up 99.97% of my time, but life is just not the same without quilting. I joined a block of the month club at one of our local quilt shops. 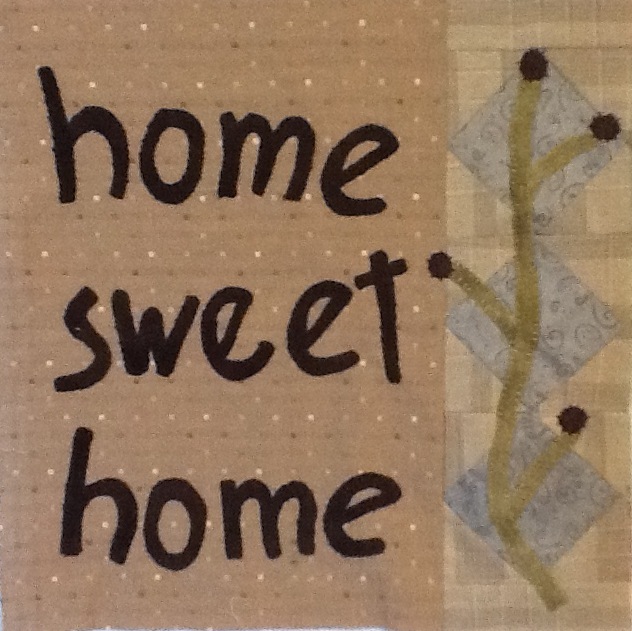 My friend Patt Anderson inspired me with one of her wool applique quilts, so I took the plunge and whao. . . .I’m hooked. So here is my first four blocks that I have completed. 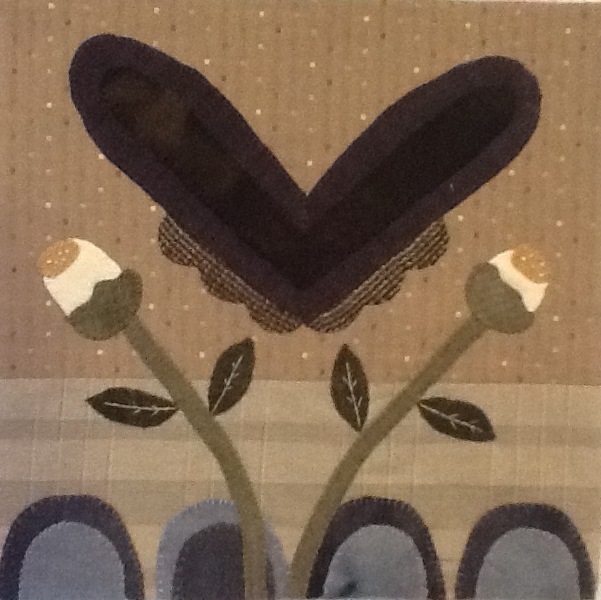 The images are all wool and it is stitched with a whip stitch on a background of Japanese dupioni fabric. I’ll update my progress every four blocks, but it won’t be done until sometime in December. 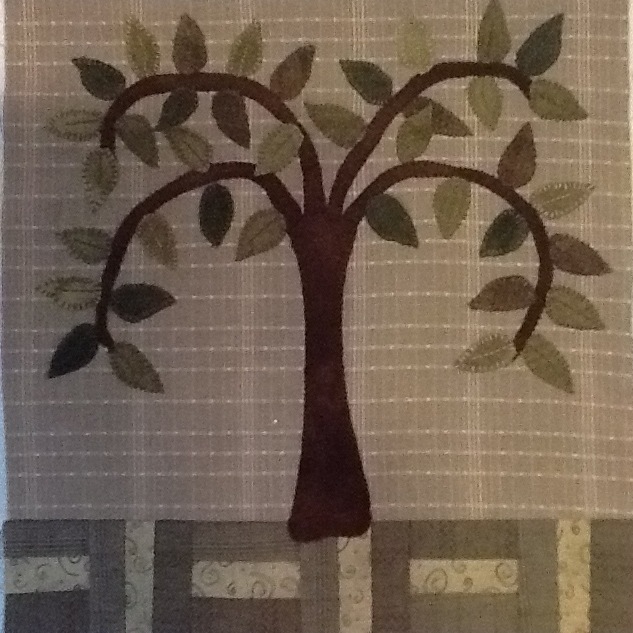 Then I have to see them all together and quilt it. I’m thinking I might handquilt it. If I do that I probably won’t have finished quilt until 2020. Oh well. She is a sly one huh? I’m really enjoying it though. Thanks, that’s quite a compliment coming from the queen of applique. I love that they are all botanical! Especially love the bird with nest. Beautiful work Kay. Thanks Gayle. I didn’t think about the botanical aspect, but you’re right. That’s probably what drew me to this quilt as well. What block are you working on now? 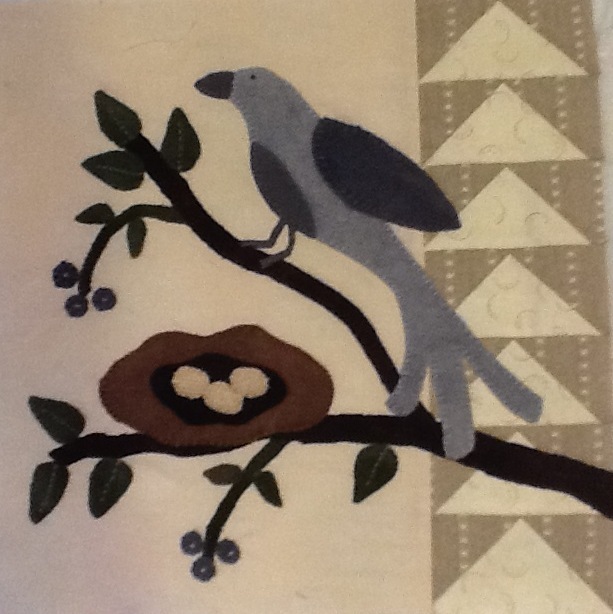 Tiyr work is beautiful – cannot wait to see the finished wool quilt.